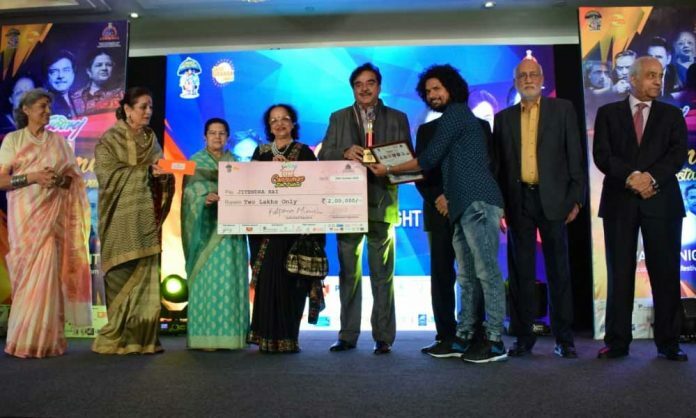 Jitendra Rai, whose short film “Cup of Tea” won the Best Film Award at the Consumer Film Festival last week, says it was the proudest moment when Shatrughan Sinha deemed ‘Cup of Tea’ as Bahut Khoob Bahut khoob Bahut khoob. Rai, who has worked with Vishal Bhardwaj and Amole Gupte as an assistant director, was interacting with the media on Friday. “It was a great experience to see the entire business crowd really appreciate the film and what it meant. The dignitaries Shatrughan Sinha and Poonam sinha watch the film on screen before it was being awarded. And when I went on stage to accept the award at first, I was starstruck but when he appreciated my film in his style I was speechless. When he said Bahut Khoob Bahut Khoob Bahut Khoob thrice, it was the proudest moment for me” Rai added. Talking about his upcoming project, Rai said, “When it comes to feature films, my first will definitely be with kids. I have always loved working with kids because I get to learn a lot from them. “Cup of Tea” has already won 24 awards and last week it was honoured with the Best Film Award at the Consumer Film Festival by chief guest Shatrughan Sinha. Other dignitaries who were present at the function were Adi Godrej, Dolly Thakore, Rajashree Birla, Yash Birla and Justice Shri Krishna. Rai is ready with another directorial venture in the form of a short film titled “Peshab Karna Mana Hai” which is inspired by Afroz Shah’s initiative to clean the city. Previous articleRadhika Apte Bags Much-Deserved Digital Disruptor Award!